The organic market has been on a steady upward growth trend over the last decade. But who exactly are the consumers buying organic food and cosmetics? Why did they ‘go organic’ in the first place? And why haven’t they switched back? Organics Cluster Rhône-Alpes and Cosmébio have joined forces to answer these questions by developing a consumer study entitled “Consumer profiles and purchasing practices in the organic cosmetics and food sector in 2016”, carried out by Opinion Way/Senseva. The study findings bring out how over 80% of organic consumers pay careful attention to their physical and emotional health, over half (50%) do regular exercise, and the majority do some form of outdoor activity or sport at least once a week. They have a keen interest in cooking and seeking out high-quality ingredients (+ 60%), but also enjoy wellbeing activities, this being a trend more striking among organic cosmetics consumers (+ 50%). What triggers the switch to organic products? In over 50% of cases, the main reason for making that first organic purchase is due to growing consumer awareness of ecological consequences, health risks and health scandals. Food typically remains the first ‘gateway’ leading consumers into the organic marketplace, and mainly via supermarket products (around 60%). The consumer then moves on to organic processed and / or cosmetic products. Most organic consumers are new ‘converts,’ following the recent efforts made by organic companies to step up innovation and communication (58% of organic food consumers, and 70% of organic cosmetics consumers switched in the last 5 years). The study reveals how going organic has a life-changing impact on 85% of consumers: 71% pay more attention to their consumer habits (food waste, eating smaller quantities, but better quality, waste management, carpooling…), 65% pay more attention to their health: they take care of their bodies, detox, and either begin or intensify physical activity. All consumers claiming they wish to continue buying organic products, and encourage their entourage to follow suit for the same reasons, make a long-lasting shift to an organic lifestyle. The terms that came up most frequently in the research interviews were ‘pride’, ‘relief’, ‘interest’ and ‘pleasure’, leading one to believe that opting for organic products appears to be first and foremost a ‘serious’ step, fuelled by the need for safety, sense and coherence. This organic commitment continues to hinge on an inherent confidence in the sector, and comes with high standards of expectation. First finding: 85% of organic cosmetics consumers have also bought at least one organic food product over the past year. The growing awareness of ecological consequences, health risks and health scandals appears to act as a greater trigger for change among organic cosmetics consumers, who account for the majority of sales on the organic food market (74%). They are looking for reassurance in their cosmetics, and are drawn by certified labelling and products for healthy skin. 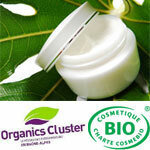 Organic cosmetics are bought in hypermarkets and supermarkets, chemists, drugstores and organic shops in equal measure. The top sellers are: face care products (20%), hair care products (20%) and body care products (16%). This committed consumer group holds strong values on a par with its strong purchasing capacity. It is made up of men and women, on average 50 years old, who have been swung by a growing awareness of the issues at stake, and who hold influence as consumer motivators. Most opt for labels that guarantee no trace of chemicals (98%). This covers young consumers, almost entirely women, who like going out at night and investing in their wellbeing by pampering themselves in spas and relaxation centres. Price, positive results and brand names are their top spending criteria. However, they are disloyal customers, putting beauty first! Mostly over 65, and largely disconnected from social networks, these consumers are looking for skin-friendly products and attach little importance to labels. They put most of their organic budget into toiletries. The guarantee that products have not been tested on animals is the main buying incentive for this group, plus the main catalyst for sales growth. Their consumer choices have a direct impact on their lifestyle and habits: they stick to familiar brands that are good value for money. With men as the slight majority (51%), this consumer group is focused on physical exercise, weight, diet and wellbeing. Highly connected to social networks, they buy lot of organic cosmetics, but take a relaxed approach, lured in by the hype of the organic movement and transported by its exoticism. Study Organics Cluster/Cosmebio from 2 au 14 February 2016 – following the CAWI methodology – using a sample of 1076 consumers who bought organic products from March 2015 to March 2016, representing the French 18 + adult population - carried out by Senseva/ OpinionWay.